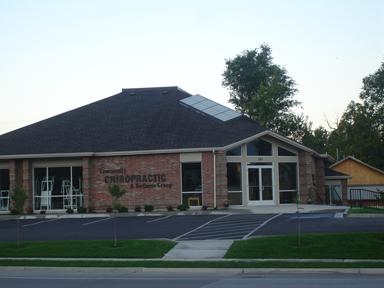 Welcome to Community Chiropractic and Wellness Group! Located in the heart of Bountiful, Utah, the leading health professionals at Community Chiropractic and Wellness Group are dedicated to helping you achieve your wellness objectives -- combining skill and expertise that spans the entire chiropractic wellness spectrum. Dr. Dan George and Dr. Dallas George are committed to bringing you better health and a better way of life by teaching and practicing the true principles of chiropractic wellness care. Patients seeking treatment at our Clinic with Dr. Dan George or Dr. Dallas George are assured of receiving only the finest quality care through the use of modern chiropractic equipment and technology. Our Physicians and staff have a genuine concern for your well-being! Thank you for putting your health in our hands! "I want to express my appreciation for the care and concern you have given to my daughter. I have been impressed by your guidance and recommendations for her to find care with other caregivers. Thank you for listening to her and giving credence to what she tells you. That has been a rare quality in the health practitioners we have interacted with.."